MyExcelTemplates.com announces new set of budgeting templates, perfectly tailored for people to make traveling and taking their family on a vacation affordable. The goal with this new release is to help families that are struggling with their finances learn valuable saving techniques to make traveling within their reach. People often use the summertime to catch up on work, take time off, and even travel. Some families may not have the means to travel this year or take their children on vacation with increasing prices of air-fare as the popular season approaches. The team at MyExcelTemplates.com has taken the opportunity to help people this year by creating a new set of budget templates that focus on helping a multiple-person household on saving for a nice vacation. MyExcelTemplates.com is an online provider of free Excel Templates and other documents that focus on productivity. They provide people with a wide assortment of categories, such as business sheets, workout logs, and personal budget templates. 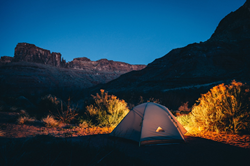 Although the new set of templates focuses on traveling and creating an efficient household budget, the team also provides helpful templates for families that want to go camping and other events as well. Davidson understand that not everyone will be able to travel but believes there are many ways for families to enjoy themselves on a budget and his team’s new set of templates are designed to help.